Apple iTunes Store: With the Apple Inc. (NASDAQ:AAPL) iTunes Store getting ready to turn 10 years old this Sunday, the Cupertino-based company is getting a bit nostalgic. After all, this is a very long time for a service to survive in today’s competitive landscape, even if it is a segment of Apple’s business. 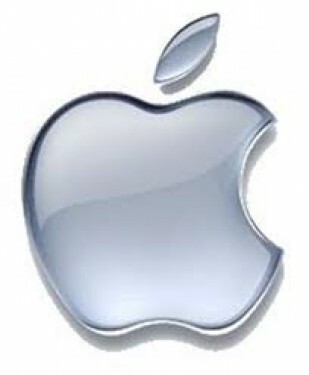 Of course, the Apple Inc. (NASDAQ:AAPL) iTunes Store is doing more than simply surviving. iTunes continues to dominate the competition by providing all the best content, and of course, a stress free experience, and recent analysis shows Apple’s advantage quite clearly. Apple launches the iTunes Music Store with 200,000 songs priced at 99 cent each. During the first week, more than one million songs are sold. On March 15, 2004, the 50 millionth song is downloaded on Apple’s iTunes. On March 2, 2005, the 300 millionth song is downloaded on iTunes. Along with this, the Apple Inc. (NASDAQ:AAPL) Store launches in many other key markets, including Denmark, Norway, Sweden, and Switzerland. Three years after opening its doors, the billionth song is sold on February 23, 2006. Later that year, Apple’s iTunes Store begins to offer movies. Along with the announcement of the Apple Inc. (NASDAQ:AAPL) iPhone early in the year, the iTunes Store tops two billion song downloads and 50 million TV episodes. During March of this year, Apple TV launched. On April 3, the store picks up a big recognition when Apple becomes known as the number one music retailer in the United States. This was a big shift that signified a growing number of consumers shopping for music online. The two billionth app is downloaded on the App Store. Along with this, Apple announces that more than 100,000 apps are available on the App Store. As you can imagine, this is when the app market began to explode. By January of this year, App store customers had downloaded more than three billion apps. Also, the 10 billionth song was downloaded on Apple’s iTunes. On January 22, 2011, the 10 billionth app was downloaded on the App Store. This year also saw the 15 billionth song downloaded on Apple’s iTunes. On June 26, 2012, the iTunes Store made its first appearance in the Asian market with the service debuting in Hong Kong, Singapore and Taiwan among other countries. On January 7, 2013, the 40 billionth app was downloaded on the Apple Inc. (NASDAQ:AAPL) App Store. On February 6, 2013, the 25billionth song is sold. With all this in mind, there is one question to answer? What is next for the Apple iTunes Store? Probably big things! Check back here for more updates on Apple iTunes Store. Apple Inc. (AAPL): Is a 12 MP Camera a Game Changer for iPhone 5S? Apple Inc. (AAPL), Corning Incorporated (GLW): Technology, Growth, and Dividends... What Were Apple’s Earnings? Facts, Figures, Quotes Apple Inc. (AAPL): 4 Revealing Comments From Today’s Q&A Session Apple Inc. (AAPL): Reports of Its Demise Have Been Greatly Exaggerated Apple Inc. (AAPL): This Next Round of Cash is On Us!